Come rain or shine, XtremeDoor is built to resist the elements. Extremes of temperatures can play havoc on some doors, exposing them to problems like warping and cracking, but not with XtremeDoor. 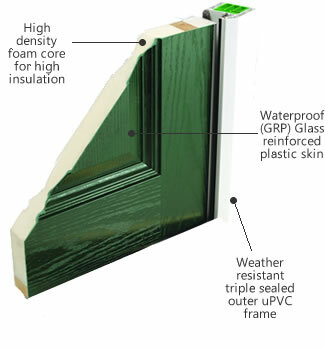 Thanks to a water proof skin and triple sealed uPVC outer frame your XtremeDoor will never swell or stick as no moisture is able to get into it.